Admitting that we don’t have much hits on our credits on the big screen would not be a shame but certainly we can improve it . To explore ma talent and the ability to act is the primary reason for me to convince my friends family n myself but not to be in the news certainly. Working with the best and the most senior director of the film industry MR . SHOAIB MANSOOR gives me the opportunity to give you guys ma debut film . I started ma singing career from PAKISTAN and ATIF ASLAM was made by PAKISTAN . I had alot ov offers to work with the BHATT’S , the RAJ’S starring the premium class but certainly wanted to begin from the house and didn’t want to become a choclate hero. 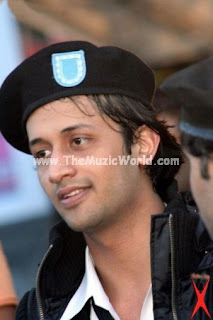 Therefore undisputedly ATIF ASLAM was meant to start his filming career frOm PAKISTAN . Here I am “ATIF ASLAM” casted in a FILM named “BOL” as a middle class low profile doctor .